Kate Moir a SLC, UT based photographer had contacted me about modeling for a zombie series art show she is doing! Naturally I would say “Yes”!!! 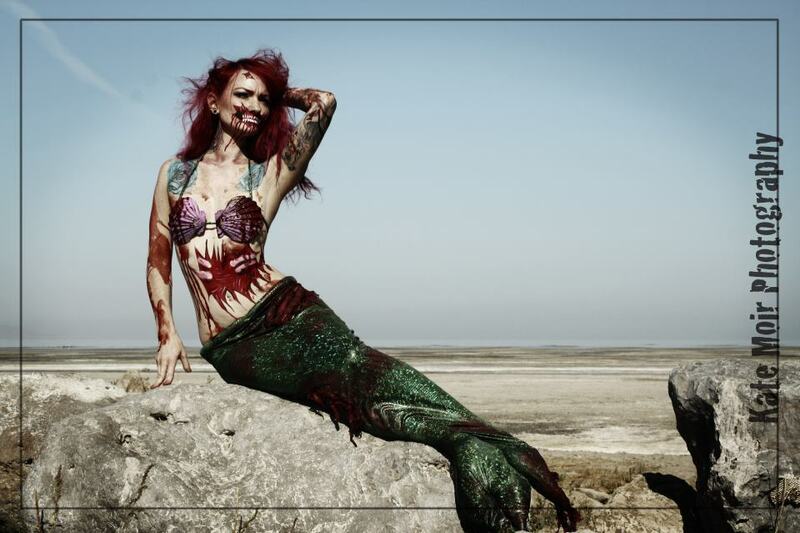 and how perfect it was when she asked if I would be Zombie Ariel from The Little Mermaid!!! I have always loved The Little Mermaid since I was a little girl 🙂 Even now when little girls stare at my bright red hair, I tell them I am Ariel with my land legs!!! Heheh 🙂 !! So i had a blast being able to add a little bit of my horror zombie-ness to my bright fantasy side! Kate did an amazing job with the makeup & got some awesome shots!!! Hope you enjoy!